​﻿Since 1986, Coeur d'Alene Galleries has specialized in 19th and 20th century Western, Wildlife, and Sporting art. For 32 years, Coeur d'Alene Galleries has created a tradition of premium artwork and unparalleled personal service. Whether you're seeking a rare work by an historical master, or you want that hard-to-find piece by today's leading contemporary artists, let us help you build your collection. We are actively seeking to purchase or consign original works by historical and contemporary artists. BLOG: All you need to know about collecting Western Art. 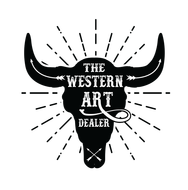 Whether it's buying, selling or just keeping up to date with auctions and museum shows, follow The Western Art Dealer.